In parallel, Mobibox SDK measures the effectiveness of the application promotion campaigns that integrates it by tracking the installs and in-app events (such as subscriptions and sign-ups) and see how many of these conversions are being driven by the advertising networks. It is possible to tag any event in the application to be tracked as a conversion. Whenever users perform the tagged action, the event is recorded and can be viewed in campaign reports. After Google's recent update to their User Data and Permissions policies, they have restricted access for SMS and Call Log permissions. As an alternative to SMS READ/RECEIVE permissions, we will depend on SMS Retriever API. As for SMS SEND/WRITE permissions, we will use SMS Intent to initiate SMS text messages. Please follow the below documentation to integrate Mobibox SDK. After that it will ask you for AAR path, so select the sdk path and click on finish. 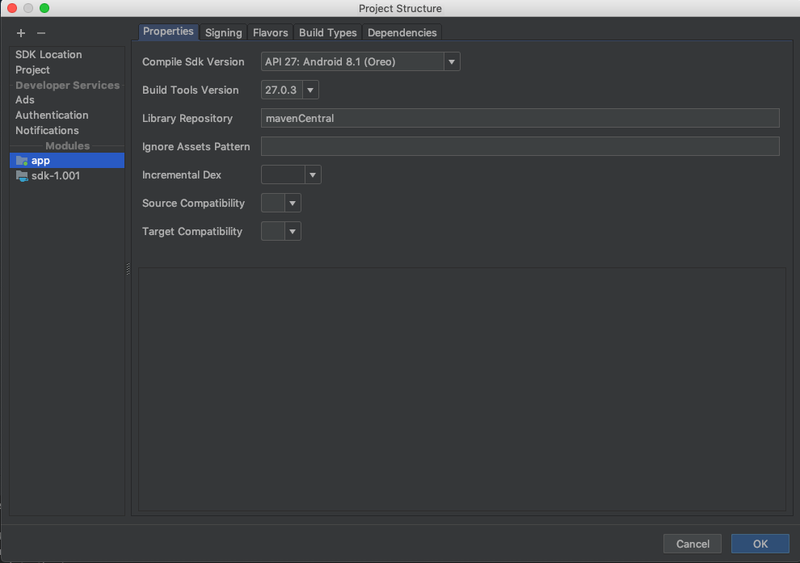 There you can see AAR file and you need to select it and click ok on dependency dialog then also click on ok on project structure dialog. After that it will take few second to sync project. In the Package Explorer open the AndroidManifest.xml of your Android project and add the following permissions. To support auto-detection of Pin code for DCB subscriptions, we need to be able to listen to incoming SMS. In order to do this, we will add a <receiver> to register a broadcast receiver to the manifest XML. We will also add an <intent-filter> to let Android know that we want to launch a specific class when an SMS comes in. Whenever your app is installed on a device, Android broadcasts an Intent containing the Google Play Install referrer. This is an important attribution value which must be passed into Mobibox SDK. You'll need to configure a BroadcastReceiver which listens for this Intent. This can be done by adding receiver tag inside the application tag in your AndroidManifest.xml. 1-Add google-services.json file to your project. a. Define set of keys and identifiers related to your app by adding the following meta-data tag inside the <application> element in AndroidManifest.xml. b. Fill in the values of your keys and identifiers in strings.xml file. (To be provided by MobileArts). 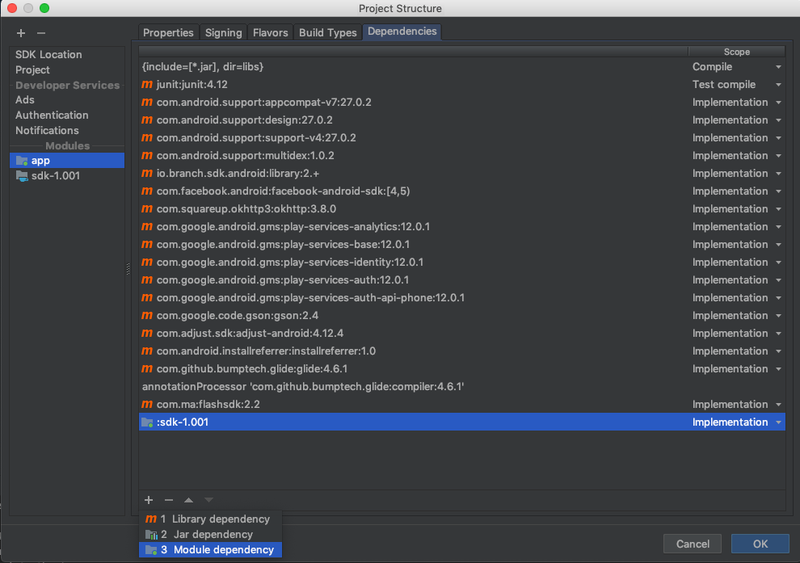 c. Inside the<application> element in AndroidManifest.xml, define the below activities used from Mobibox SDK (Subscription related activities). a. Create a class “GlobalApplication” that extends Application. b. Open the AndroidManifest.xml file of your app and locate the <application> element. d. In your Application class find or create the onCreate method and add the following code to initialize the Branch. We recommend using a SplashActivity class to initialize Mobibox SDK. 1. Create a Class "Utility". 2. Add the following function on it. // you can use this function for check, is user if from deeplink or not. b. In your SplashActivity class find or create the onStart method and add the following code to initialize the Mobibox SDK. Depending on whether you build your app for testing or for production, you must enable or disable logs when initializing Mobibox SDK by setting the second parameter to true or false. 2. You need to create a layout xml file (fragment_portal.xml) for portalview and add following code on it. 3. You need to create PortalViewFragement class and add following code into it. a. Use the below code, anywhere in your code to open Billing Activity for your user. b. In the same activity where you opened the billing activity, call onActivityResult to check if payment was successful or not. a. To check if user has subscribed (premium) or not through Mobibox SDK when using the app, you can check the below locale variable. b. The lookup result will give a clear idea about user’s status, which allow you to handle the permissions as you wish. Mobibox SDK provides additional billing information such as: AccountDetails and how to unsubscribe from the app. These are only applicable if the user is premium. SendEvent Function can be called for tracking any event or action you want to track (events should be defined on Mobibox interface first). 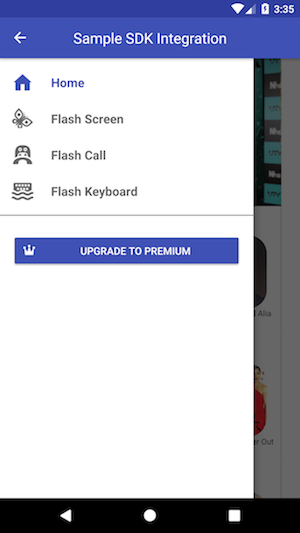 In the example below, we are tracking whenever user presses on upgrade button. “Force update app” is a very important feature handled by Mobibox SDK. From backend, you can set if you want to force update the app in a certain country (Maybe some new feature or new operator’s rule needs to be implemented, then only force update concerned country). If the force Update value is true, then SDK will automatically ask user to update the app before using it and will redirect him to play store link. 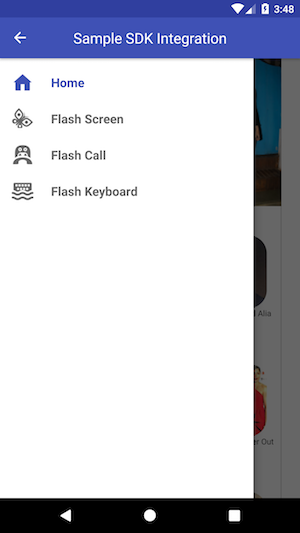 Host app can integrate this feature, by checking if the app needed force update and user did not update, then don’t allow user to use the app and close it. Some apps, may or may not, have support for free version (free features or free content). This property can be set from backend (by country) and SDK will store it locally. This way, host app can know if there is a free version to be granted to user or not. Whenever possible, Mobibox SDK will auto detect MSISDN and make it available to host app.